Papercrafts by Patti: March Pals Blog Hop! There's Spring In Our Hop! March Pals Blog Hop! There's Spring In Our Hop! Hello! I'm stop #8 the March Pals Blog Hop where we are celebrating Spring-related projects for Mother's Day, Easter or any other occasion that celebrates Winter coming to an end. You may just be starting the blog hop or may have come from Stop #7, Amy Whelan at Amy's Inklings. If you get off track at any time, the full lineup below will help you move along from blog to blog so you can see all of the amazing creations. Once per month our Bible study group gives our host church a few "thank you" baskets because they are so generous with their campus. We leave a basket in each office on the church/school grounds. I made four tags for the baskets of fruit, nuts and candies that we put together this month. These tags were quick and easy and FUN to put together. I think they say "Spring" most definitely! My bloom and butterfly will be a welcome sight for much of the country after so much snow. 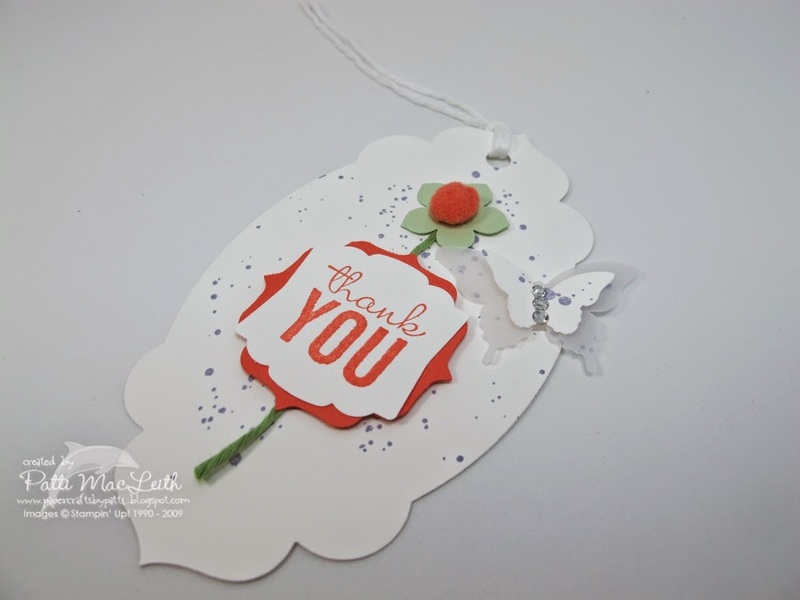 I used the Occasions Catalog stamp set "Painted Petals" for my sentiment. I punched it out using the Artisan Label punch and then framed it with a Calypso Coral Label Bracket punch. My accents are made using Painted Blooms Cotton Twine for a stem with a Petite Petal in Wild Wasabi. In the middle of the flower I used a pom cut from the Calypso Coral Pompom Trim. Fluttering nearby is my Elegant Butterfly/Bitty Butterfly in Vellum Card Stock and Whisper White card stock, respectively. It's body sparkles due to Basic Rhinestones. Her speckles and the speckles on the tag itself are stamped in Wisteria Wonder using a stamp from the Gorgeous Grunge stamp set. Painted Blooms White Cotton Twine ties the Apothecary Accents Framelit tag onto the basket. 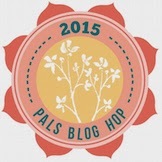 The next stop is #9, Denise Hoepfner at The Mountain Magpie on the Pals Blog Hop! Thanks for visiting. Be sure and stop by next month! I would love to see your comments, so won't you please leave one? 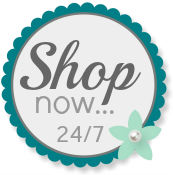 Just waking up with the blog hop! Thought for a minute that te base of the tag was made from a doily. Upon closer inspection, realized it was white with gorgeous grunge stamping for the background. What a nice way to say "thank you" with the gift baskets for the church each month. I am sure that they really look forward to them. Thanks for sharing your nice ideas! Thanks, Ladies! Keep those comments coming, I love them ALL!! Very pretty! What a fun way to use the pompom trim! I bet the church will be thrilled with the thank you baskets with these beautiful tags. I love your use of the pompom for the center of the flower. These tags are great, Patti! Love the embellishing with butterflies. Love these tags Patti! Great job. Such sweet tags. A great addition to the baskets.